After the revolt was put down Simon Maurice transferred the French military outpost to N’Gokro. In gratitude, the French built a pyramid as a memorial to Kouassi N’Go and the town of N’Gokro was then renamed Yamoussoukro to pay homage to its political leader. In 1919 the French named Félix Houphouët-Boigny who was born there in ___, the chief administrator of the town. 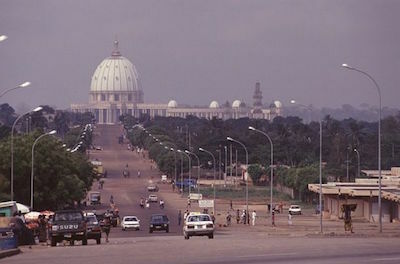 Over the next four decades, Yamoussoukro remained a small commercial center for a surrounding agricultural region.